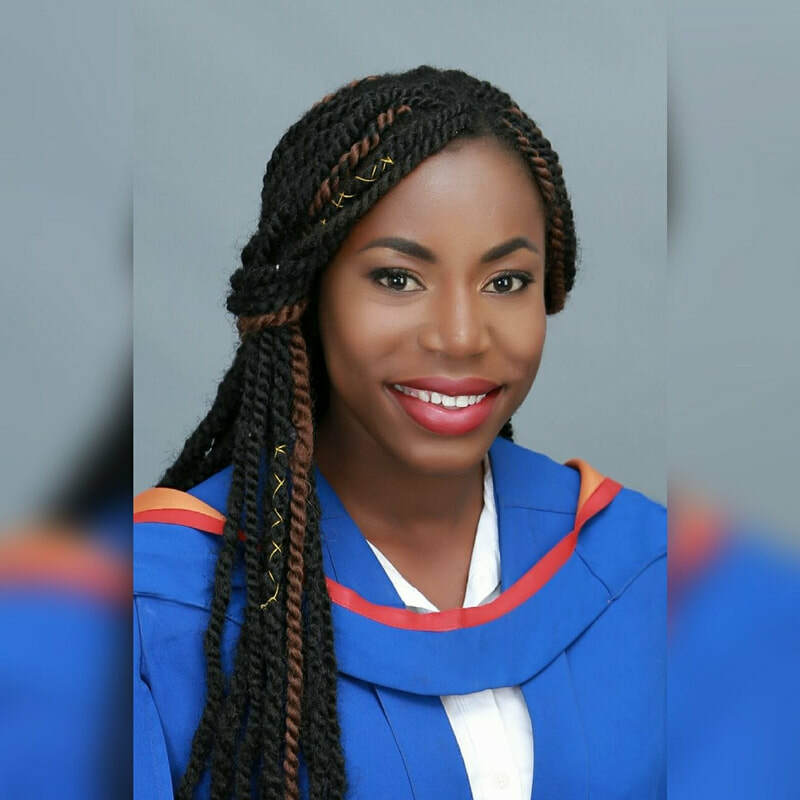 Where Are They Now - Professional Jamaicans for Jamaica, Inc.
Professional Jamaicans for Jamaica, Inc. wishes to highlight some of the top high school talents in Jamaica who have benefited from our Scholarship Program and done extremely well, post high school. More than 200 high school students in Jamaica have benefited from our Scholarship Program. I am Oshin Lawrence, a 22 years old female from the Arnett Gardens Community in Kingston, Jamaica. Although I was born and raised in a volatile community in Kingston, I did not let it hinder my education development. I attended Central Branch All Age and Holy Childhood High School for Girls. My introduction and involvement in this noble organization, Professional Jamaicans for Jamaica, was made possible because someone from my community realized the importance of education development of self, while inspiring others. I was the 3rd Place Awardee for The Inaugural Ms. Esmie L. Walters Essay Competition from Professional Jamaicans for Jamaica, Inc., and made a concerted effort to volunteer my services to the organization for the next 5 years. This was a humbling experience. For the next 4 years, I was awarded with the Dr. Rashida Biggs Scholarship where top high school students with exceptional GPAs are recognized for excellent academic achievements. ​"Lifting as I climb" is one of the mantras of the organization which I have emulated from my experiences with the organization and practiced throughout my education and professional career; to place a smile on the faces of children in Jamaica. Professional Jamaicans for Jamaica, Inc. have impacted my life and contributed greatly to my education development and achievements. I am thankful today that God has inspired its leaders with the vision to ensure sustainability of their education program which has benefited many needy children in Jamaica. In 2017, I was awarded with a Bachelor's of Science (BSc.) Degree, Majoring in Operations Management and Marketing (Honors) from The University of the West Indies, Mona. Currently, I am in charge of Administration at Sagicor Life Jamaica, in the Employee Benefits Sales Department. I am Tiana Bryan, a 21 year old female from a rural community in Four Paths, Clarendon. I attended May Pen Primary School and Clarendon College, where I was Top Female CAPE Achiever in 2014. I have recently been awarded my Bachelor's of Basic Medical Sciences Degree, Majoring in Pharmacology (Honors) from The University of The West Indies, Mona. I enjoy reading and am an ardent writer as I firmly believe in the transformational power of words. I am also a firm believer in God. I have stayed grounded with the help of my parents who are my biggest supporters and motivators. I am passionate and concerned about helping and improving the lives of others, especially when it comes to health. Guided by the words from Babe Ruth who states, “Never Let the Fear of Striking out Keep You from Playing the Game”, I constantly seek to do things which may not be easy, but which nurture and propel my growth. In 2014, I was the 2nd Place Awardee for The Ms. Esmie L. Walters Essay Competition from Professional Jamaicans for Jamaica, Inc. The Scholarship played an enormous role in contributing to my career goals, as it helped me both financially and in developing my morale. At the time of receipt of the Award I had just finished Lower 6th form and was about to enter Upper 6th. It was a challenging time economically for my parents, who were supporting three (3) of us. In receiving the scholarship, it relieved my parents of a great burden and aided greatly in the payment of my school fees and helped me in completing my high school studies, after which I was able to enter University to pursue my goals. Additionally, in attending the Awards Ceremony, I was surrounded by extremely influential persons who all believed in me and who inspired me to pursue my career and life goals. Both the President, Mr. Horace A. Daley, and Guest Speaker, Mr. Karl Graham, spoke empowering words of encouragement that despite challenges, with hard work and dedication one can be successful, which for me was extremely motivational and sparked a desire within me to excel. Today, I laud this this organization for its input which has helped me along my journey. 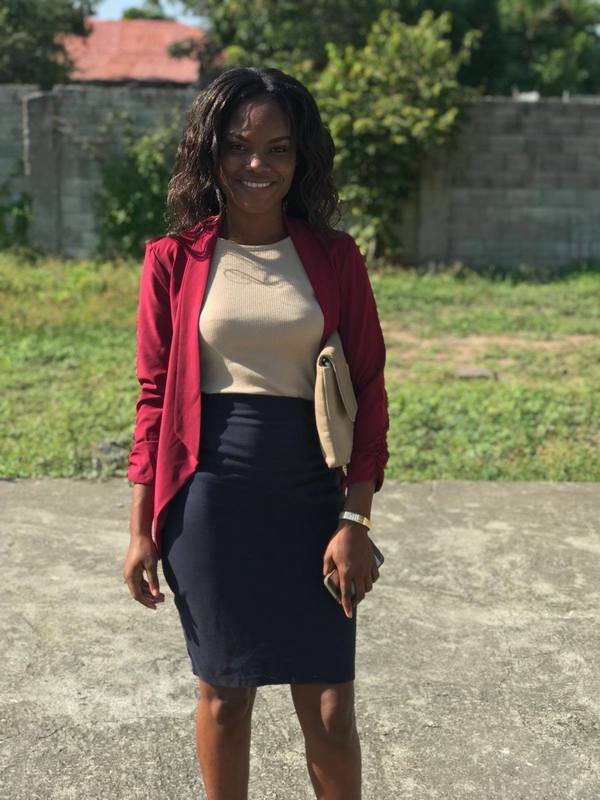 I am Shenelle Smith, a resident of Arnett Gardens Community and a student at the University of the West Indies, Mona where I'm currently reading for my Bachelors of Science in Actuarial Science. While attending Excelsior High School, I was eager to secure an academic scholarship to offset my education cost and mitigate the financial burden on my parents who were faced with economic hardships. Professional Jamaicans for Jamaica, Inc. offered me the opportunity as one of its student ambassadors which I gracefully accepted. For my voluntary services, I was awarded the Dr. Rashida Biggs Scholarship. This scholarship was very timely, as my parents were unemployed. The organization and its leaders instilled exemplary moral values in me and taught me the fundamentals of "We Rise by Lifting Others". This allowed me to be proactive in the organization's annual events (Fill-A-Backpack Project and Christmas Treats) which ignited the spirit of volunteerism within me; to give back to children from poor communities in Jamaica. Importantly, the organization provided me with annual academic scholarships since the 8th Grade and I am thankful for their generosity. These scholarships have helped me financially, restored hope, and also gave me the drive to work even harder to ensure I maintain good academic standings to qualify for future scholarships. Being part of this organization has positively impacted my professional development and personal growth. The mission statement of the organization is alive and well: uplifting our nation's children, one child at a time. 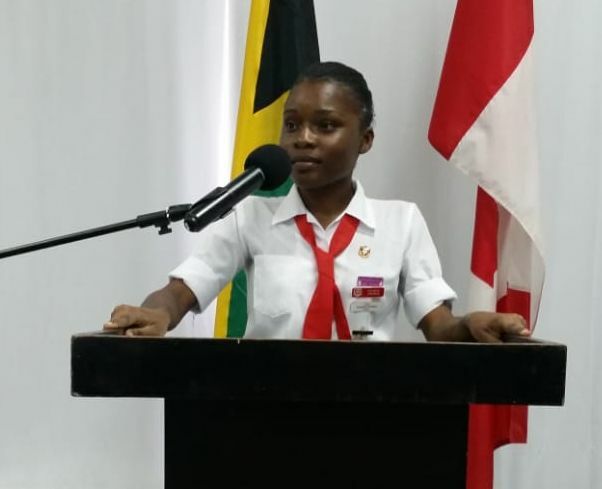 I am elated that I am one of those chosen students to have benefited from the education programs of Professional Jamaicans for Jamaica, Inc. and, without a doubt, will pave the way forward for other less fortunate students through the organization. To Mr. Horace Daley you have given the youths of volatile communities in Jamaica an opportunity to live there best self. A big thank you to you Sir. To the members of team PJFJ thank you all. 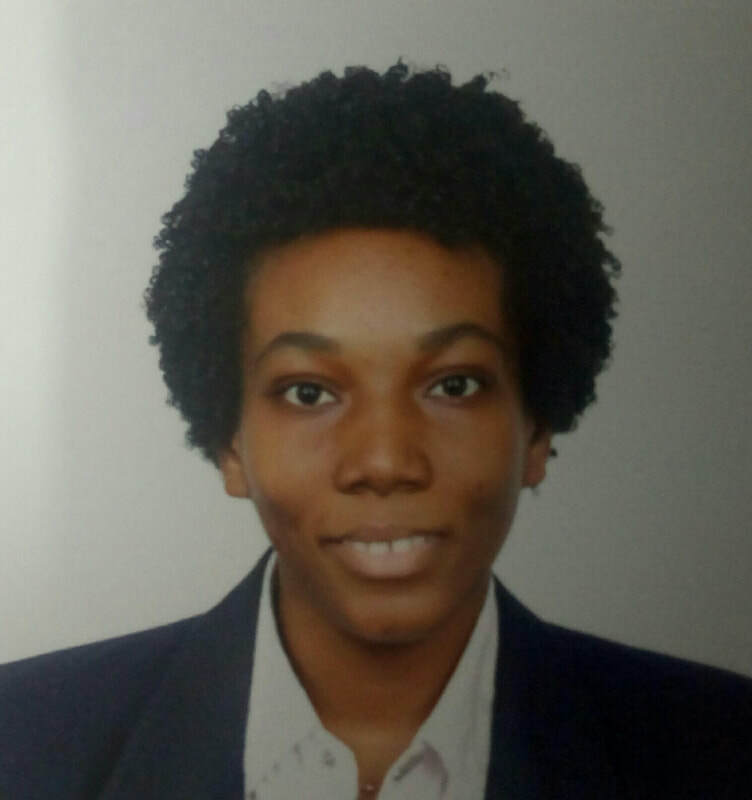 I am Haudaja Walters, a Sixth form student of the Queen's School. Driven by confidence, faith, and the Word of God, I work consistently to achieve my goals in every aspect of my life. I am an aspiring diplomat, influenced by the need of economic growth in my country. However, financial obstacles often make the path to success a bumpy one. On my quest to lessen the financial constraints on my education, I applied for one of the scholarships offered by Professional Jamaicans for Jamaica. In August 2017, I was awarded the Dr. Rashida Biggs Scholarship. I was elated and grateful for the opportunity, as 2017 proved to be one of the most difficult year. I was encouraged by the President, Mr. Horace Daley, to put my best foot forward despite all my adversities. He continues to be a mentor in my academic career and is truly an inspiration and traits of his determination will forever be apart of my cornerstone. The committee has done and continues to do tremendous work around communities in Jamaica, inspiring and encouraging students, like myself, to achieve the impossible.